Everyone’s looking for a “magic bullet” — a singular and simple remedy that provides a solution to a difficult or previously unsolvable problem. If there is anything close to a magic bullet to meet the challenges of America’s divergent and pluralistic population, then it is long-term investment and commitment to a system of quality public education — from kindergarten classrooms to our universities. We were all taught a that the long-term investment is always the responsible, prudent and conservative investment. This is true for each of us as we lay aside resources for our later years. It’s also true for us as a community, state and nation. So how is Florida doing with this long term investment? According to USA Today, Florida has now skidded to the bottom quartile among the states in per pupil funding — the 11th lowest. One only has to Google “Florida ranking in per-pupil funding” and read multiple sources outlining Florida’s dismal standing. 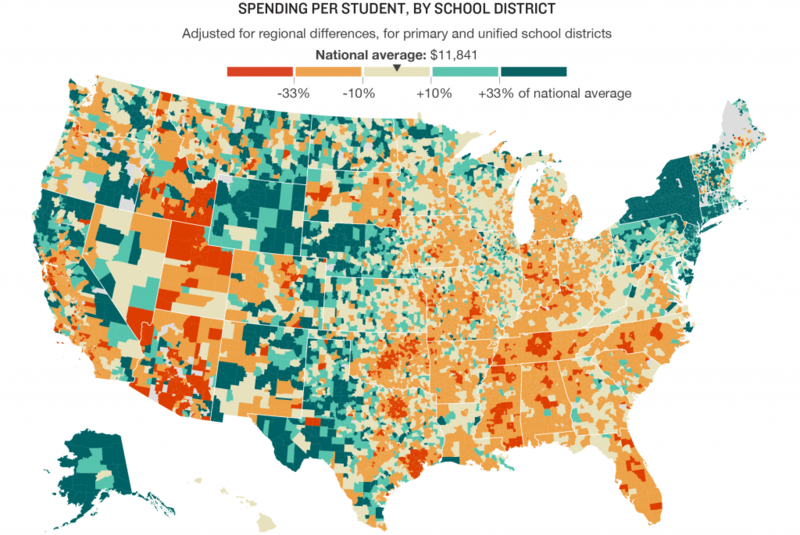 Can Florida afford to be more competitive among the states in per pupil funding? Of course. But the governor and his legislative majority must place children and their schools as a budgetary priority. Tallahassee’s continual shortchanging of schoolchildren to help finance tax cuts — year after year — is akin to a farmer eating his seed corn. We can do better. Consider that America’s public schools and universities have served as some of our best, long-term investments. For more than a century, our public schools have produced dividends for our state and nation. These include: Assimilation and enculturation of the most diverse citizenry in world history. Through our public schools, peoples of differing religions, races, cultures and languages were unified in the values reflected in our governing documents — the Constitution and the Declaration of Independence. Facilitating a common language, thereby simplifying learning, commerce and governance. Empowering America’s next generation with the tools for economic self-sufficiency for individuals and families. Providing a pathway for opportunity for everyone without regard to their economic status at birth or zip code. Helping create a flexible workforce that can adapt to a changing workplace and thereby seize the opportunities of the 21st century for America. Sharing the common treasures of the humanities (arts, history, literature, law, etc.) that enrich the lives of all. Creating a binding, unifying and shared experience for our pluralistic citizenry. When someone suggests that our public schools don’t work, I sometimes request that they look into a mirror and ask themselves: Did I attend a public school or public university? Do I consider myself a citizen who is productive, hard-working and cares about the improvement of my community, state and nation? If the answer to these questions is “yes,” then I would say that public education has worked and is working today. The person looking back in the mirror is part of that proof. When considering the value of public schools, I also think it is helpful to reflect back on those particular teachers that have made a difference in one’s life — the teacher who was personally transformative, helpful and inspiring. That teacher, or someone just like them, is still standing there in the classroom and still making a difference. It is the nature of the teaching profession that draws on such committed individuals. They deserve our support. 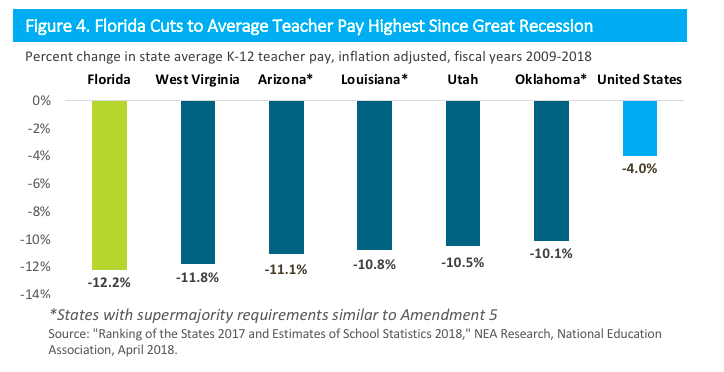 We should work tirelessly to attract and retain the best and brightest educators to our classrooms for the benefit of our children, grandchildren and America’s next generation. Such a commitment to a better future for our community, state and nation is worthy of increasing Florida’s per-pupil investment — at least to the national average. Sterling presentation of the case for quality public education with access for all and supported adequately by our government. You’re absolutely correct that such investment of our tax dollars should be a part of our long term investment in our own future. The money is there … it’s the spending priorities of our state elected officials that have to be examined. Great article, Frank. Very well put. Both Republicans and Democrats could, and should, agree on this. Great job! Well said, Frank Wood. Thank you for you clear, concise perspective!